Pomba & Dove Care is not your standard commercial janitorial service. Many janitorial companies both large and small focus only on cleaning but not on the long term effects of the using harsh chemicals has on the environment or on the welfare of your staff. 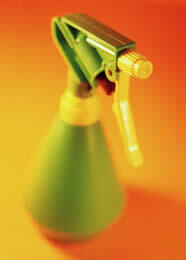 Your company will benefit from the truly environmentally friendly cleaning green product expertise. Our experience in providing janitorial services will significantly improve the overall appearance and cleanliness of the office or building as well as providing a safe non-toxic environment for your customers and employees.